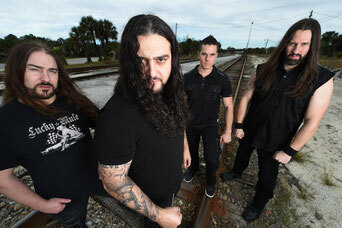 KATAKLYSM from Canada are standing for one of the biggest acts in the death metal genre. Founded in 1991, shouter Maurizio Iacono and his guys reached the top of the death metal mountain really quick. This is how they describe their name: "A massive and violent 'event' that marks the end of the world". Maybe this describes the sound of this band to the point. A good reason giving KATAKLYSM a listen at RockFels 2018.